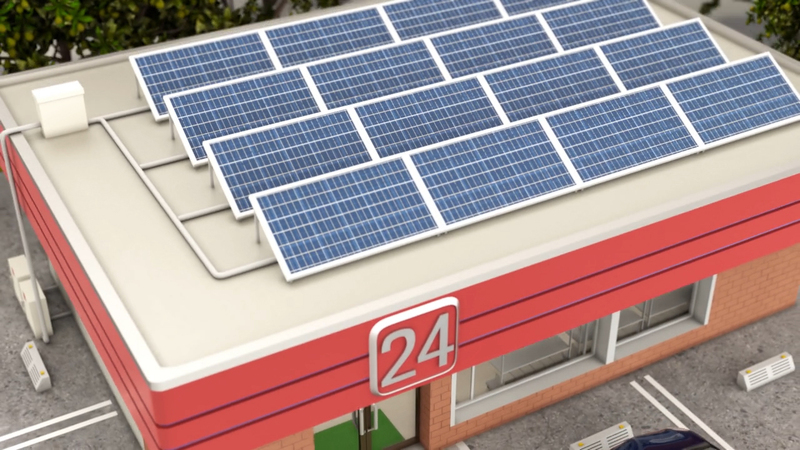 For converting DC power generated by the photovoltaic panels into AC power synchronized with commercial power to be used as the power source for the convenience store. Remaining electricity can be sold. For cooling the interior of the photovoltaic inverter.